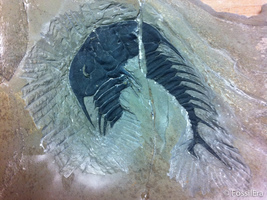 It's always interesting to be able to show the work that goes into a well prepared fossil specimen. 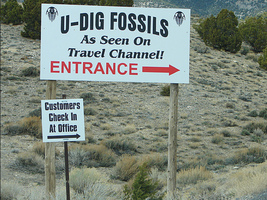 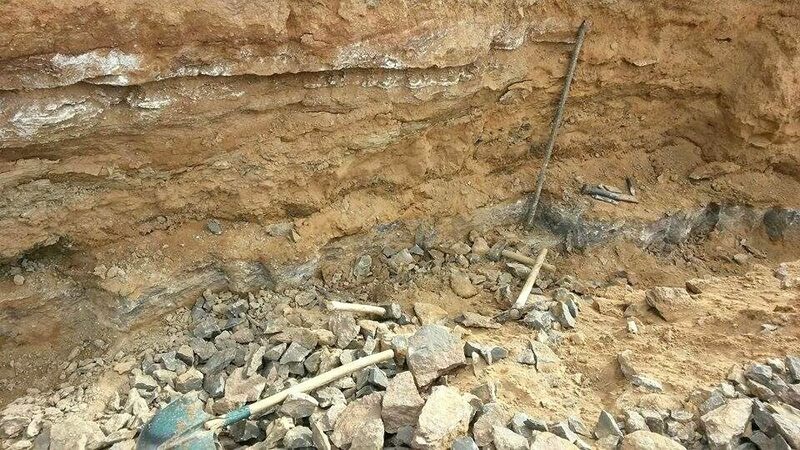 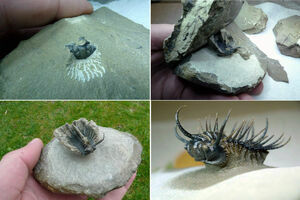 Actually collecting the fossils is often the easier and less time consuming part than the preparation. 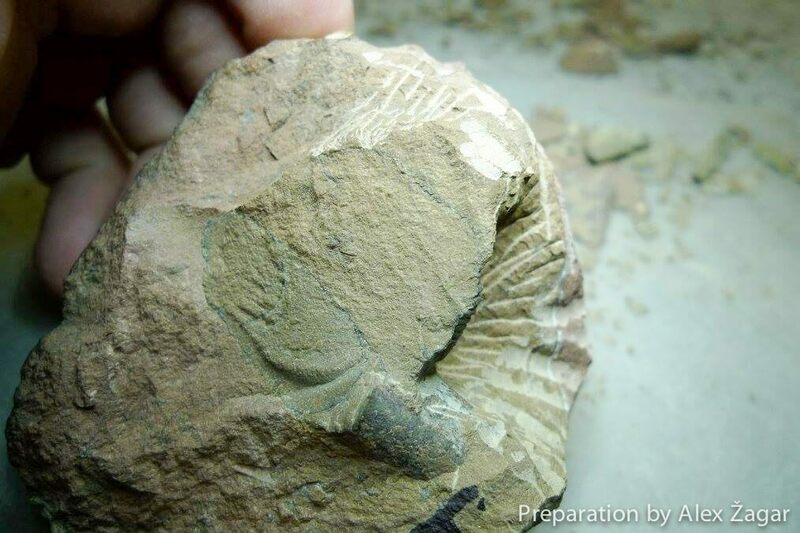 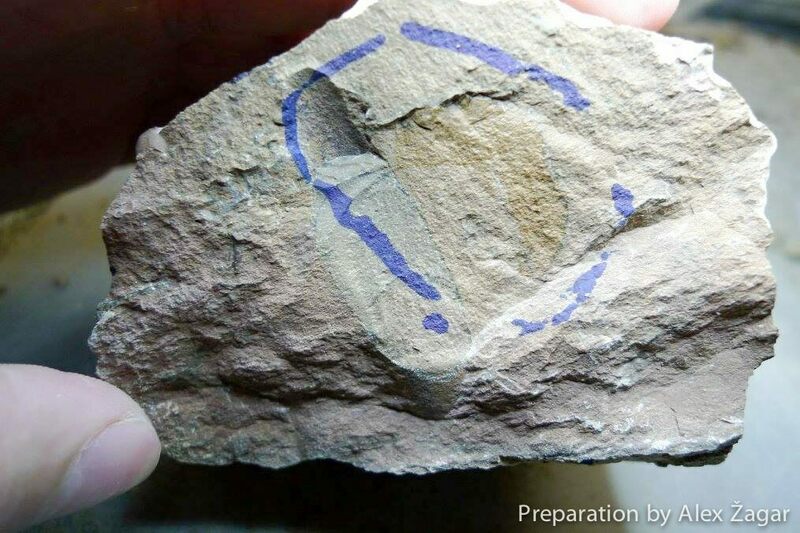 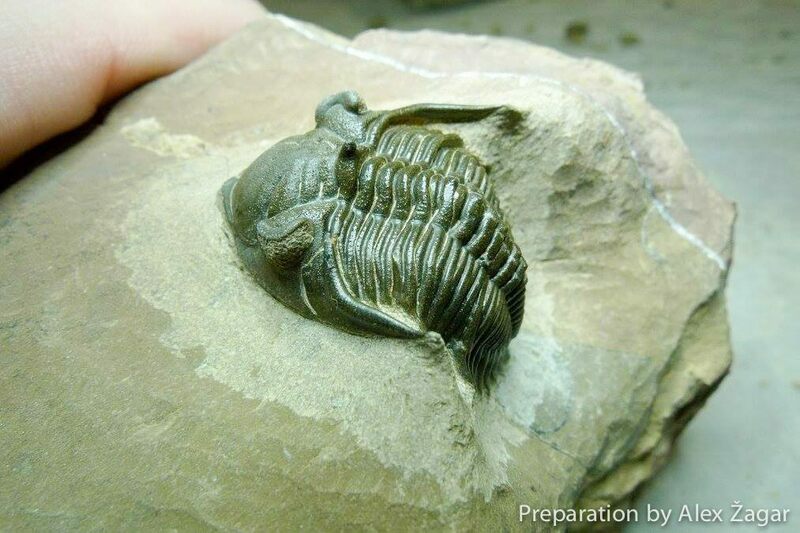 This is a beautiful preparation sequence of a Metacanthina issoumourensis trilobite quarried near Lghaft, Morocco. 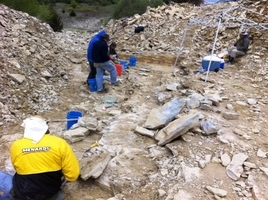 Preparation and photos by Alex Žagar. 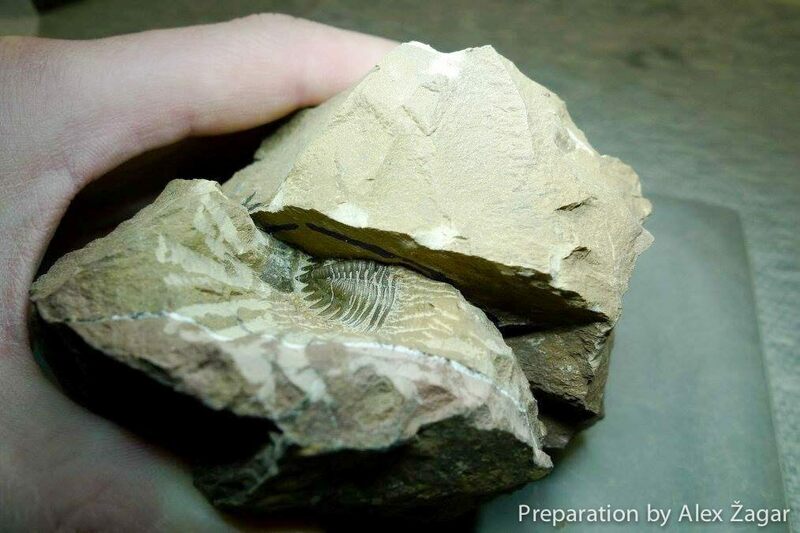 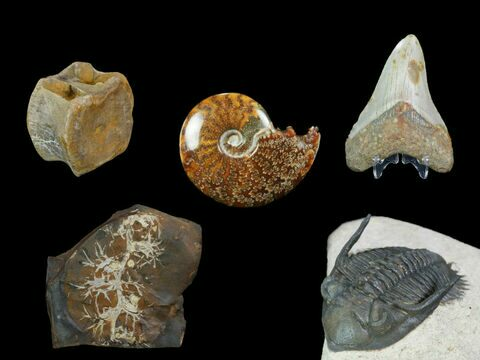 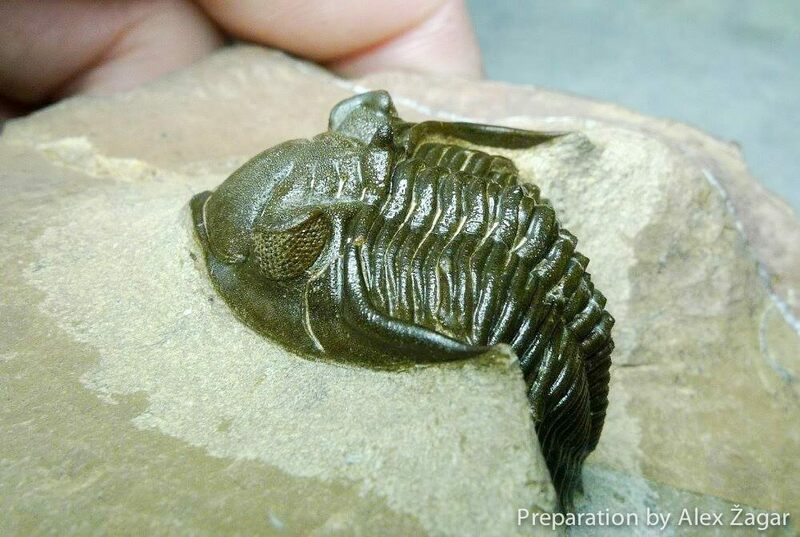 The trilobites are found within a hard limestone by breaking the rock into progressively smaller pieces and looking for thin cross-sections. 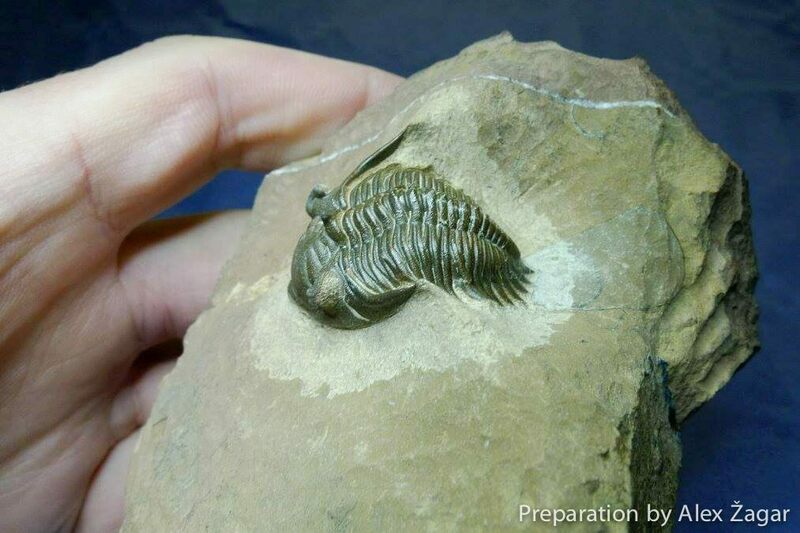 This is backbreaking work, but once the trilobite back in the preparation lab the detailed work begins. 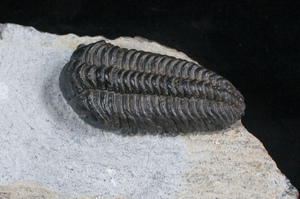 The rock must be meticulously removed from around the trilobites under magnification using airscribes and air abrasives. 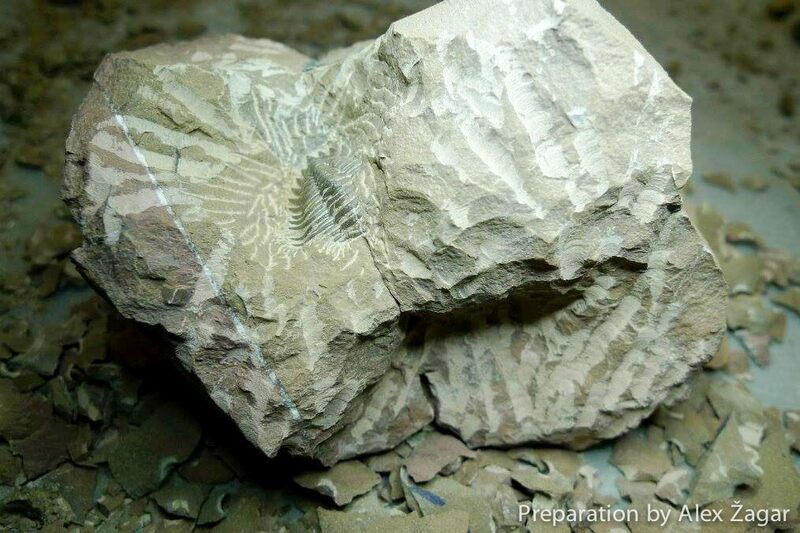 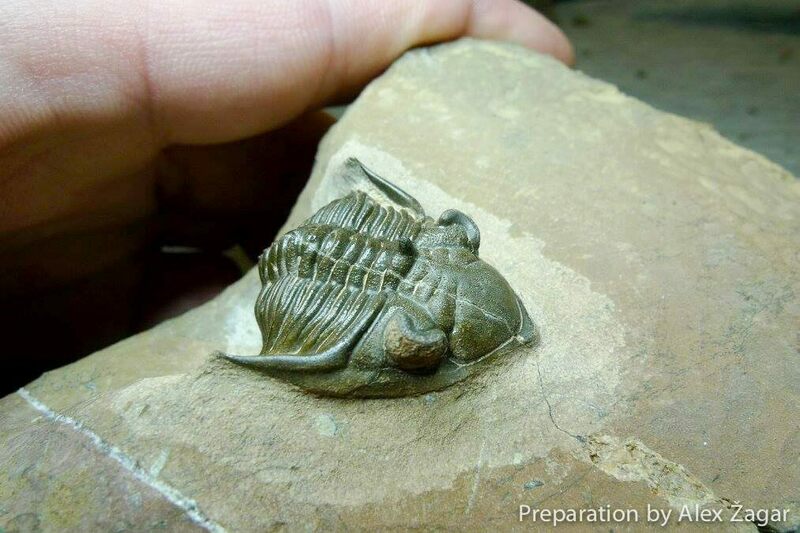 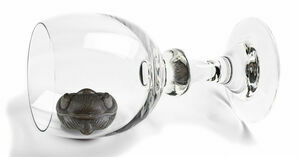 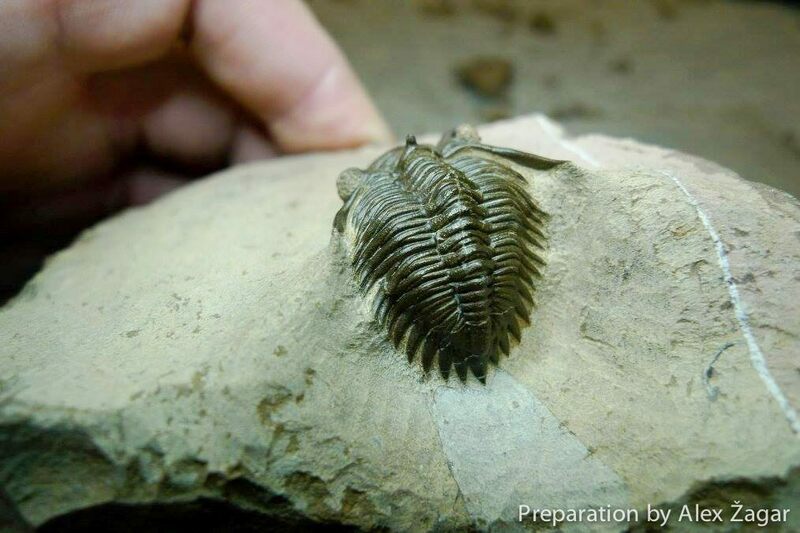 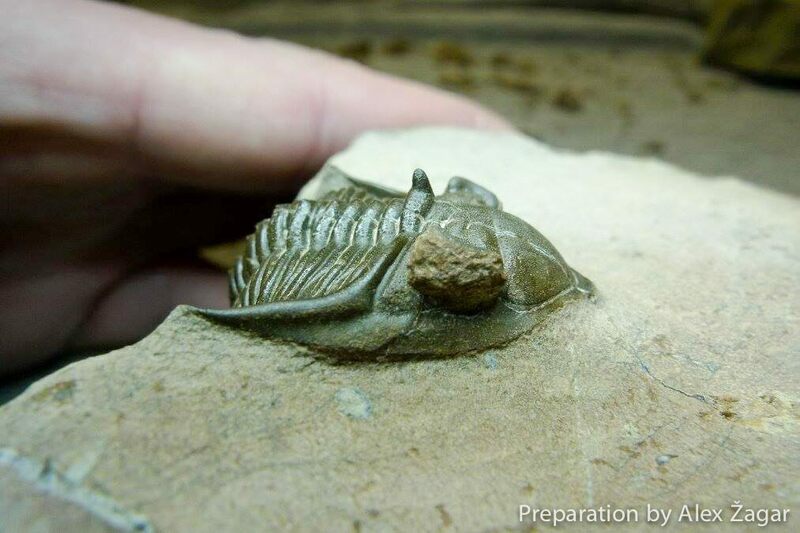 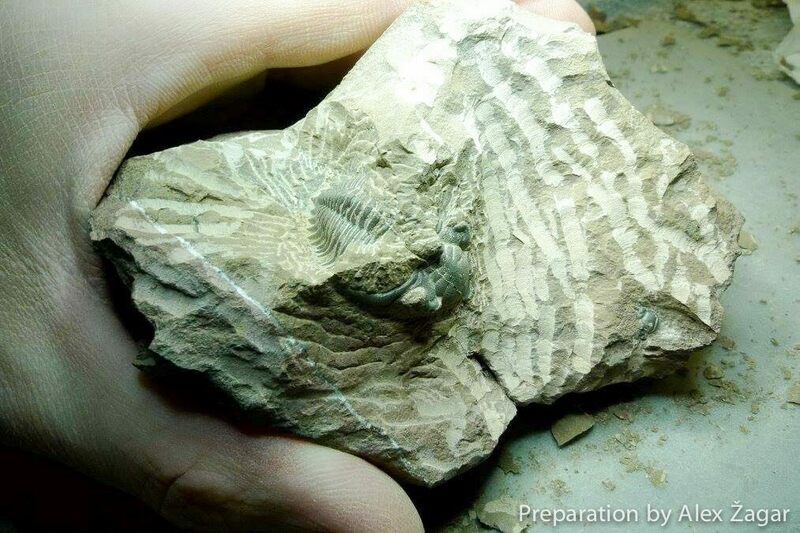 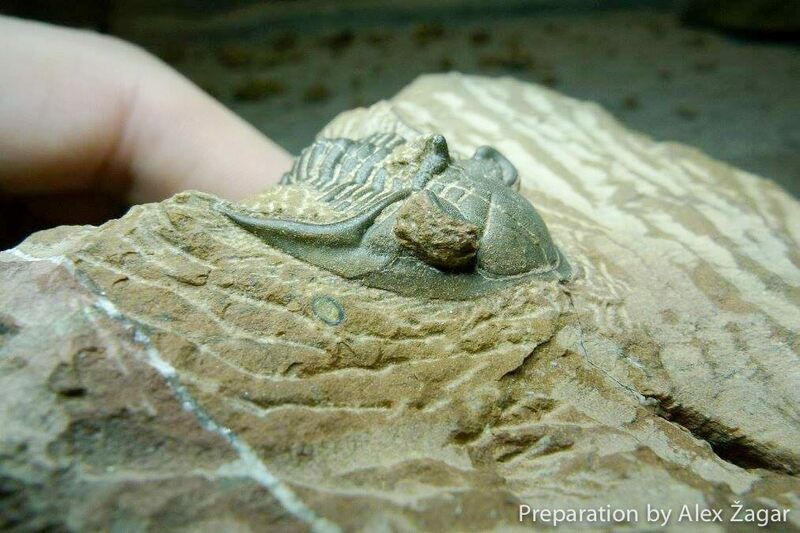 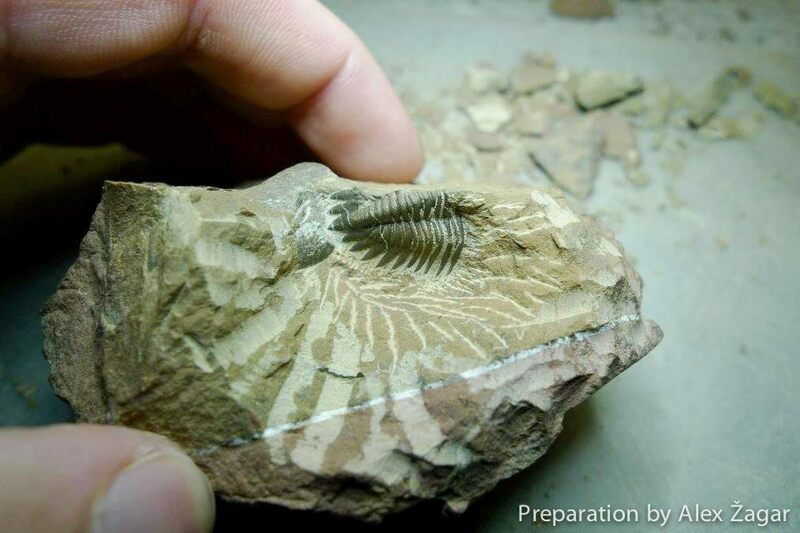 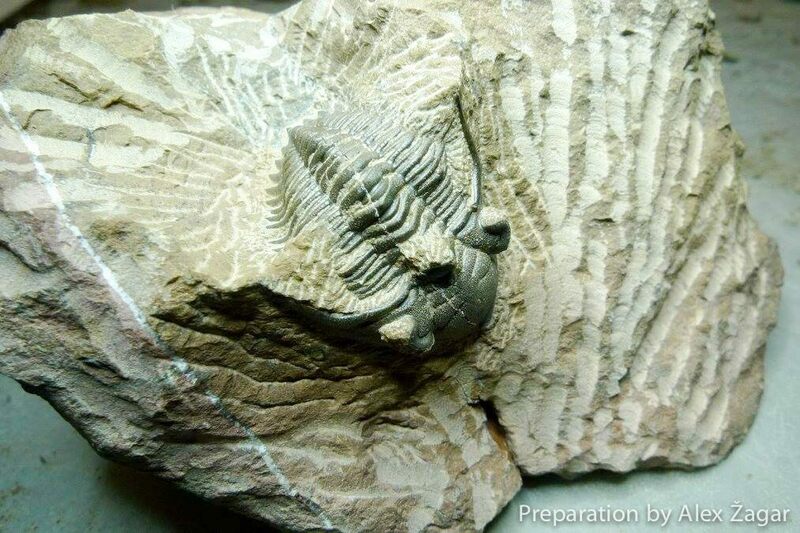 It takes many hours to prepare even some of the less ornate trilobites.